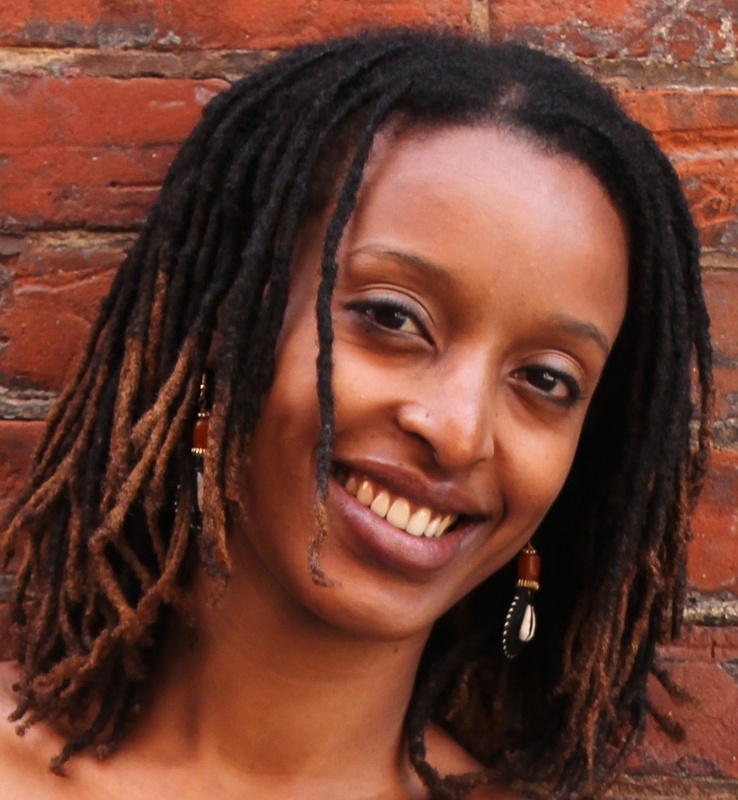 Mumbi Otu was the driving force behind Hart House’s outstanding production of My Name is Rachel Corrie (which is also nominated for Best Designer and Best Actress), telling the true story of a girl with designs on changing the world from one of its most dangerous places, the Gaza Strip. The endlessly inventive Best Director for a Regional Production nominee followed up Rachel Corrie with a bold creation called Nightmare Dream at Campbell House then by joining our interview series. Truth is I honestly don’t remember. I remember performing and doing productions as a kid before I ever saw a full theatre production.. It’s in the blood! What first drew you to directing? I was first drawn to directing when I was playing the character of Tituba, in Arthur Miller’s The Crucible, back when I was a student at University of Toronto. I was actually, at the time, studying a degree in Human Biology, and extremely torn about whether to stay in the sciences or pursue a career in Theatre. All the while, during my studies, I had been involved in campus theatre productions. During this particular production, I realized how few roles there were available for women of color in theatre in Canada, and I felt the urge to change that cycle. I then pitched a play to Hart House Theatre that I was interested in directing for their upcoming season. The play was called, For Colored Girls Who Have Considered Suicide/When The Rainbow is Enuf by Ntozake Shange, and it featured an all-female cast of women of color. It was also an experimental piece (a choreo-poem). The General Manager of the Theatre at the time, Paul Templin, believed in me and gave me a shot. The show did quite well, and I felt encouraged to continue to pursue directing theatre after that point. The more I immersed myself in theatre, the more I realized that I was even more in love with the art form of directing, and that I wanted the freedom to continue to explore diverse stories to tell. What’s your favourite production you’ve ever worked on? Do you have any dream projects? I have a few favorites. For Colored Girls will always be a big mark for me, as it was my very first project to direct. I absolutely loved directing Rachel Corrie– the team was so fantastic and I got really immersed in the story- and this last project I just finished directing Nightmare Dream was extremely challenging, but also super great and rewarding on so many levels that I think it will stay with me for a while. So to answer this question more accurately, I would have to say that each project I have worked on has really meant something to me on a so many levels, and being significant in what I have learnt and taken from at that particular time in my career. Was Rachel Corrie a piece you pitched to Hart House or something they were doing that they asked you to direct? I first became involved with Hart House over ten years ago as a student. I have kept in touch with the theatre over the years, and felt a special connection to it, as the place where I had my debut theatre directing experience. Over the years, we have been looking for another opportunity for me to direct something, and Jeremy Hutton had been so great in saying I should definitely approach him, If I had an idea for a project. Early last year, I approached Jeremy with an idea to direct a classic play called Death and the Kings Horseman by Wole Soyinka. He loved the idea for the piece, but didn’t think It would fit for that season. He then gave me a copy of Rachel Corrie, a piece that Hart House had been interested in doing for sometime, and asked me if I would be interested in directing it. I read it and got super hooked on the fact that, thematically, it was exploring the idea of youth activism and its role on the global stage, which is something I had been interested in especially since the Arab Spring movements. The more I immersed myself in it, the more I fell in love with the person Rachel Corrie, and felt strongly about really telling that story and bringing her to life. How did you prepare with regards to the character of Rachel personally- did you read the full diary that the play’s text comes from? Yes, I read the full diary. But before then, I read the script about a dozen times to fully get a grasp of her from the text we would be performing. I thought it was important that I really immersed myself in this first, and see what the script was telling me about her before I got immersed in her life outside of that. This was important to me as I needed to remember that the audience would only be experiencing the Rachel Corrie in the script. The diary was however extremely useful in giving a deeper and greater context to the real life Rachel Corrie. It was also useful in seeing which material the creators of the show had chosen to focus on and which material they had left out of the story. Whenever I felt like the two (the diary vs the script) were in conflict, I always chose the Rachel Corrie of the script, as again that’s what the audience would witness. Did you do much research into the Israeli-Palestinian conflict and the particular moment in time when Rachel involved herself? I did a ton of research on the Israeli-Palestinian conflict at the time Rachel Corrie was alive (pre-2004). It’s a huge topic, so in order not to get overwhelmed by it, I started the process by looking up every single reference on the conflict in the script that I did not understand. After this, I then immersed myself deeper into all these reference points from the script. Again, it was more important for the purposes of the storytelling to understand the conflict as Rachel understood it. The research itself was fascinating and gave me a lot of staging ideas (including filling the stage with sand). How do you approach casting a solo show with such a weighty role? This was a tough one. We needed an actor that could really bring the complexity of Rachel Corrie to life. At one point, I even thought about having more than one person play Rachel Corrie, but this idea did not last beyond the first round of auditions. We needed someone who could take the audience on the full journey of who Rachel was and who could not just be a strong activist personality, but also just a girl with dreams and passion. In a simplistic way, Rachel Corrie is really a coming of age story about a girl who goes to Gaza to follow her dreams of what she believes in. For this reason, I really wanted Rachel to be someone who was relatable and who every person could identify with. It was really important to me that her humanity came across first. Amelia [Sargisson] stood out immediately as someone who would bring the courage and aliveness to the stage. Walk me through the rehearsal process. After Amelia was cast in the role, we spent two days just talking about the script and our first thoughts on Rachel Corrie, at least a month and a half before rehearsals started. This was really important for me that we did this, because this was not the kind of show that I wanted to just go into full rehearsals without having had a conversation with the main actor about [it]. This ‘workshop’ session was really useful, ’cause it gave me a strong insight of how we would work together and it also gave Amelia a strong insight on the directorial approach I was going to take.. I had also done a lot of research by this point of our first meeting so I was able to pass on this research to Amelia as I wanted her to have as much context as I did on the material. Amelia was then able to take that research further and really dug into Rachel Corrie on her own. By the time of the first rehearsal, we had already gotten the big discussions and research on context out of the way, and therefore were able to fully focus on the character of Rachel Corrie as well as the staging. We spent a lot of time just working though- meticulously- what her personal journey was in the text-from each beat to the next. I quickly learnt how intelligent and talented Amelia was, and we became true collaborators in the discovery process of that character. In terms of the staging, what I made Amelia aware of was what the physical environment of the world of the play was. We worked with this roughly in mind, and again by prioritizing the character’s journey, I deleted and made edits on the staging ideas as we went along. For example, when we started the rehearsal process, we had a real bed and a real chair on the stage. However, it became clear to me that in the end, the only real ‘thing’, that should be on that stage was Amelia. Her and her clothes only, and that we wouldn’t have any real furniture on stage. At one point, I also had stage hands manipulating the world on stage, bringing columns on to the stage, but again it became quite clear that Amelia as Rachel Corrie needed to have the agency to tell her story and manipulate her world herself. On a political level, this was important to me because the play itself has been constructed by others, and it’s a reflection of what others see as her life. And we have no idea if Rachel was alive, what story she would choose to tell. So by giving the Amelia, the actor, agency to move and interact freely with the set, I felt I was giving Rachel, the person behind the character, agency. My Name is Rachel Corrie is famously controversial- seen as skewing heavily pro-Palestinian and therefore anti-Israeli and thus angering a lot of people particularly in North America. Did you factor that sense of controversy into your approach to the play? I was definitely aware of the controversy, but really wanted to focus on the character and make her vivid and visible. Where we had to be really sensitive was in the use of projections in the show. We had to be so careful about what images we were showing and what these images were communicating. It was hard to show graphic images of the violence done in Palestine without feeling like we were adding to the feeling that the story was biased. We therefore tried as much as possible to show only abstracted images of the reality that Rachel referred to. With a first person narrative as strong as Rachel’s (particularly a real-life heroine) the tendency can be to play her simply as a martyr. How did you steer clear of such simplicity and present some of the other side of the issue and Rachel herself? Absolutely, this was a trap I wasn’t interested in falling into. The great thing that helped me steer away from this, is because martyrs lack drama, they are usually not very interesting to watch on stage because we cannot connect to them. Human beings on the other hand are super interesting even in the most mundane moments.. So usually when I’m directing, and I feel myself bored or disconnected from what I am watching, then I try and figure out why.. In a story like this, it usually would be because we were starting to ‘speak’ to the audience as opposed to just ‘live’ inside the journey of the character. Were there any fascinating moments of revelation that came out of the rehearsal period? There were many actually. As I mentioned previously, how we kept changing and adapting the design elements based on the discoveries and unveiling of the character was super awesome as it happened really organically. One big moment I realized, and was thinking about recently, was how difficult it was to get to working on the end of the show, because we knew it was so heavy and we had to fully enter it. The first time in rehearsal when Amelia read Rachel’s final monologue, we all started crying. Actually, I know I did. It was difficult not to. And I am not an emotional director so to speak, so I was really surprised by how affected I was. And then we had to push through and remember that the character was not aware that this was going to be her final words. But that moment of being stripped down emotionally by a character’s journey made me realize how invested I had become in the story. Tech was extremely fascinating. We were working with ‘video mapping’ technology with projections, a first for me as a director. There was definitely a lot of great discoveries and learning moments just dealing with technology on stage on this level, and under constrained time and resources. What was something you added to the play that was completely unique to this production? I don’t think that there is a production of Rachel Corrie, to my knowledge, that has been done quite like this. Having the entire stage filled with cork, not using real furniture, but working with the idea of ruins are all new to the production of this show for sure. Projections have been used before in productions of Rachel Corrie, but not in as integrated a way as we did it. Also, the idea of images being projected on ruins, I think was something new that our team brought to the show. I have a few. But two that stand out to me are when Rachel Corrie sat on the stairs and just spoke to us just before Olympia for Jerusalem (and the entire transition from ‘Leaving Olympia to Arriving in Jerusalem’). Her burying her journal in the ruins is also something that has still stuck to me. I just finished directing a site-specific theatre project called Nightmare Dream. The show was set inside the historic Campbell House Museum at Queen and University. This is a project that I conceived and directed that was produced by my theatre company, IFT Theatre. The production did really well. We sold out and got rave reviews. We are hoping to do a remount in 2014. Thank you so much for considering me for [this award]. I had such a great time directing the show and being recognized for the work is super great and humbling. Thank you!